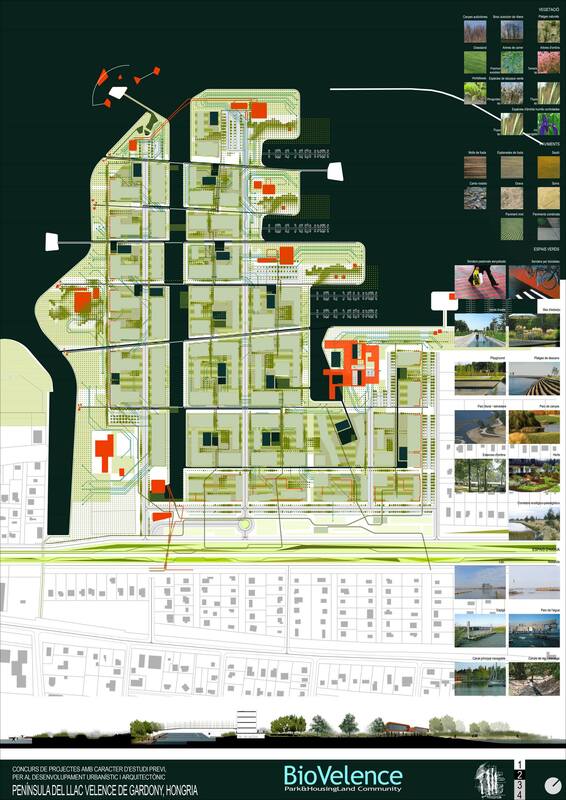 TEAM CONTEST WINNER FOR PARTIAL PLAN WRITING OF URBAN PLANNING SECTOR SPORTS, LEISURE AND HEALTH “REGIONAL PARK MAYOR PONS-rafts” of Lleida. 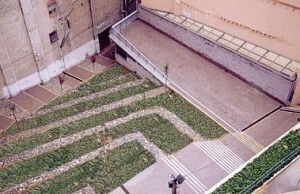 TEAM CONTEST WINNER FOR RESTRICTED municipal pools discovered ALCARRÀS. LLEIDA. 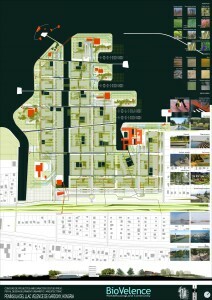 Works sel.lecionades the 2nd SHOW ARCHITECTURE in Lleida. 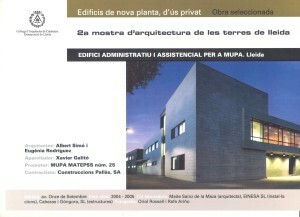 1st Prize for the best building of houses in Lleida 2007. 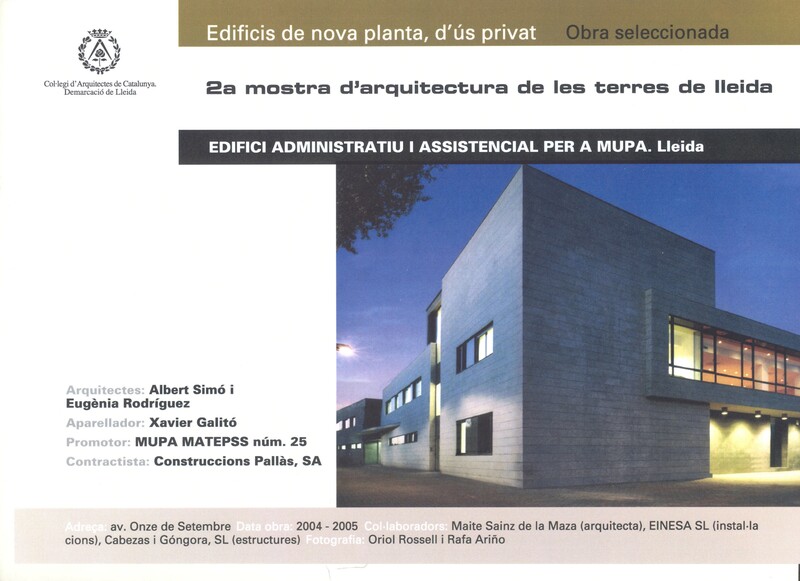 1st Prize for the best building of houses in Lleida 2006. 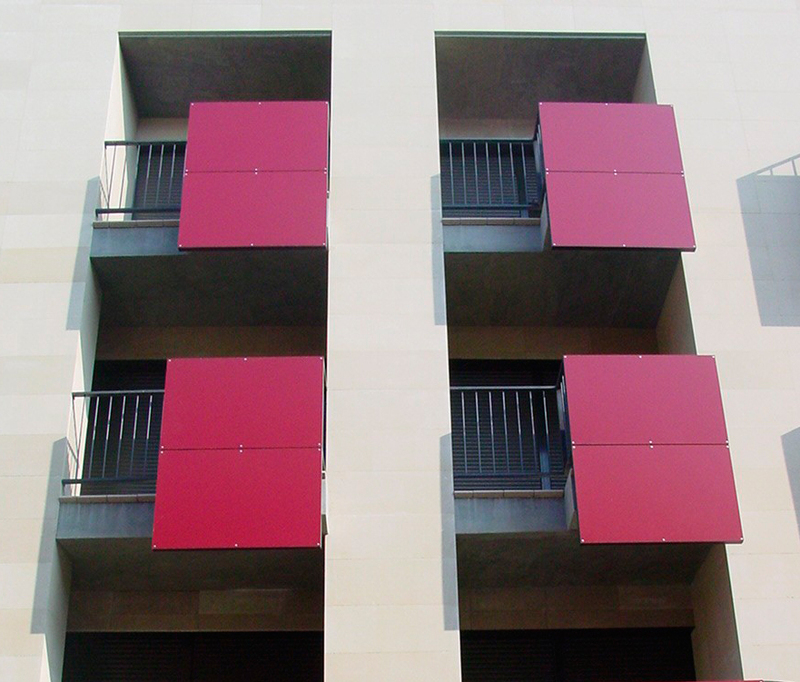 Project VESTA Award Finalist for best residential building in Lleida 2006. 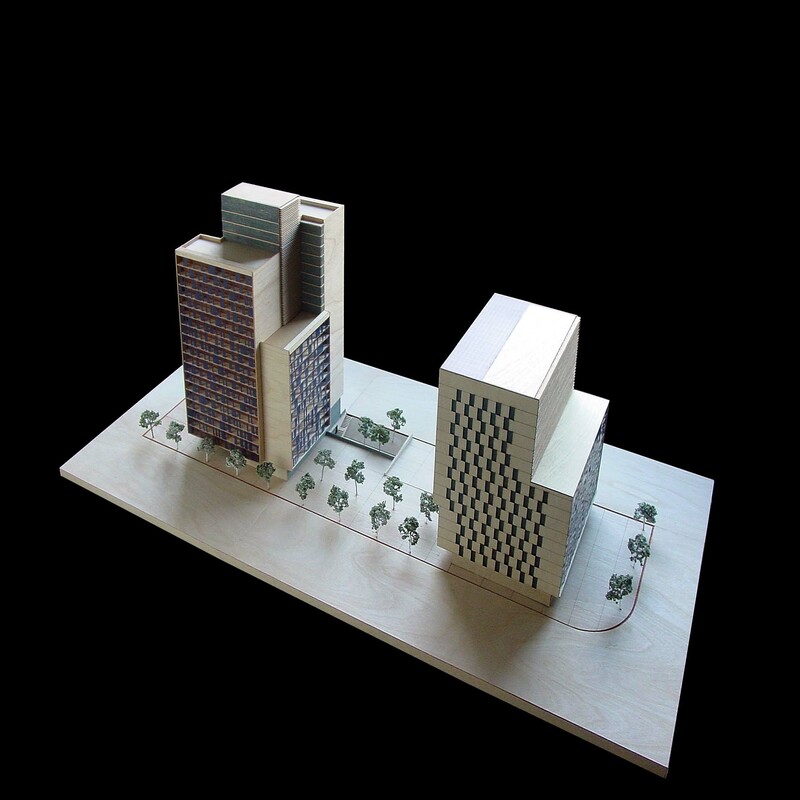 Project finalist in the contest of ideas “Two pedestrian passes over the river Segre in Lleida” With architects: Victor Rahola Augustine Obiol and Manel Castellnou. Dining for IES Gili Gaya Lleida. 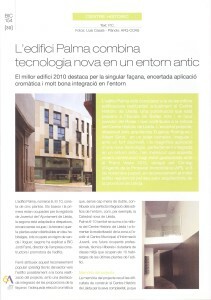 Opinion articles, editorials and interviews architecture magazine DAU, Discussions of Architecture and Planning and director of the province of Lleida publication of the College of Architects of Catalonia. Published in the journal DAU No. 11. Collaboration in the book “Ignasi Miquel. Architect. “Published by the province of Lleida College of Architects of Catalonia. 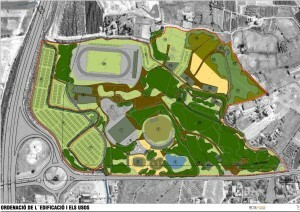 Reform of the Municipal Tourism of Lleida. Proposed reform of the Descent of the Holy Trinity. Lleida. Reform Project Plaza San Francisco. Lleida. Adequacy of public space between the streets and Segarra Carnation with local municipal and urban gardening. Lleida. Improvement works to urban street extension of Murcia. Lleida. 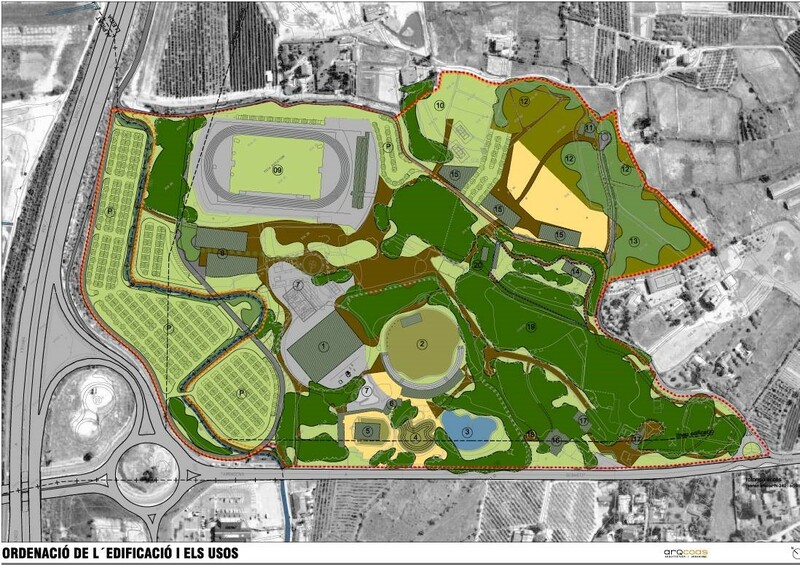 Proposed reform of the Main Casino Lleida. Forms access to the church of St. Augustine. 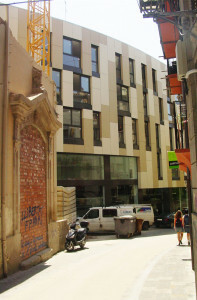 Lleida.